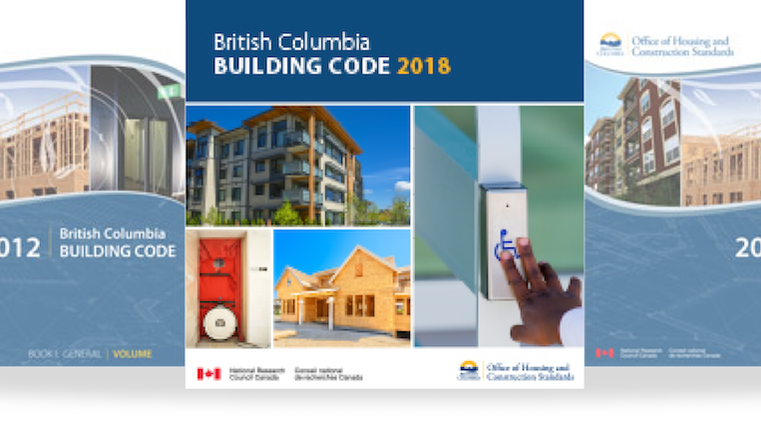 The new British Columbia building code comes into effect Dec 10, 2018. As of that date all architects, engineers, designers and contractors will be bound by its provisions. The current building code was issued in 2012. What’s the probability of failure based on service life expectancy? Are there installed components known to be problematic? Any passive or legacy issues that should be monitored? Do we have active issues that could affect house occupancy use? Could there be a health hazard? Sample for mold and air quality. Sample for asbestos, radon and lead. Building drawings, by floor, with cross-sections and plan (or top) views. All building permits taken out since the house was initially constructed. All home repairs made under the home warranty policy. Blower air test to determine how leaky is the building. Energy efficiency rating based on modelling the house insulation. Bring certain components up to current code standards including plumbing, heating, ventilation, insulation and electrical systems. Proactive inspection firms do provide some or all of the above services. However few buyer see the need for these services. Usually, it is provided long after the property purchase, when the home occupants are being affected by some unknown condition. Then the need for discovery becomes paramount. For whatever reasons, our Provincial authorities have allowed the real estate industry to handle disclosures in a very superficial way (our opinion only). Clients choose realtors for a variety of reasons such as name brand recognition, connections, charm, charisma, market focus and their ‘can do’ abilities. The property is then marketed in the best possible way to attract top dollar. But what of the property’s functionality, livability or condition of the major house systems? Does the real estate industry have any responsibility to force a more complete disclosure? Absolutely not! Legal documentation is voluminous. Yet technical reports and studies, which should support the agent’s marketing efforts and asking price, are usually non-existent. It is then the buyer’s responsibility, with their agent’s input, to pick and choose what inspections are appropriate for their purchase. In consideration that home inspections are optional and not mandatory, many buyers will choose to minimize their closing costs and forego an inspection. It’s all a matter of risk management. An informed buyer will want to enter into any real estate transaction as informed as possible.